Don’t get caught waiting in line to launch your boat this summer. In past years busy weekends have gotten so crowded that many of the lakes in the area have had 2 hour wait times to launch a boat. Once the capacity gets too high the sheriff will close off the lake and not let a new boat launch until another boat comes in and pulls off the lake. This can mean wait times of 2-3 hours or sometimes mean you don’t get on the lake all day. Roosevelt lake is only 1 hour and 30 minutes from most of the east and north valley. Roosevelt is such a large lake we never have that problem. 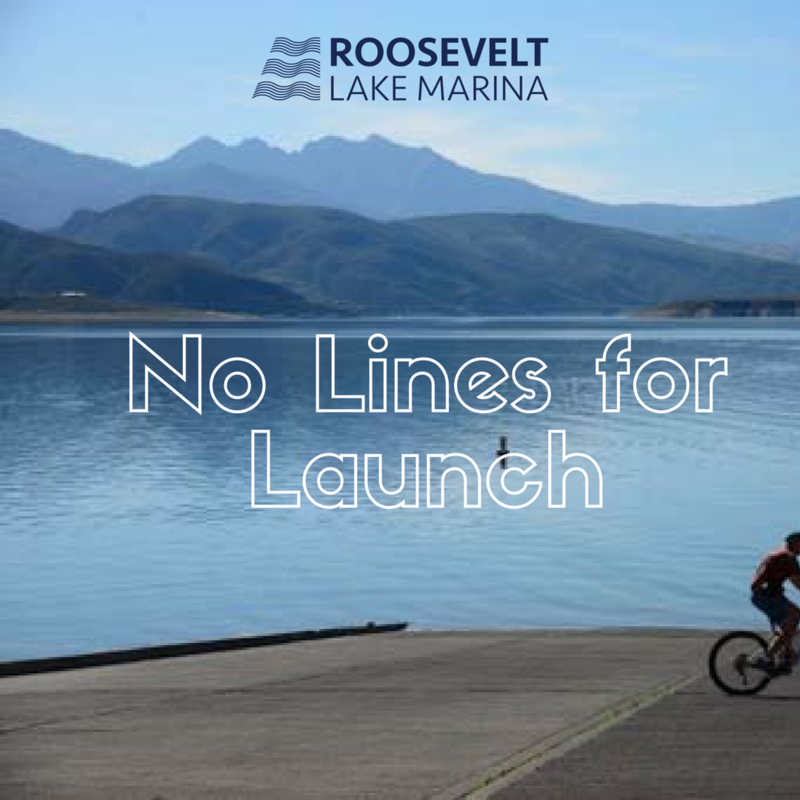 Roosevelt is currently at a water level of 55% which equates to almost 900,000 acre feet of boat-able waters. That’s bigger than Pleasant, Bartlett and Saguaro combined!